You don’t always need to escape the city to enjoy nature and fresh air. 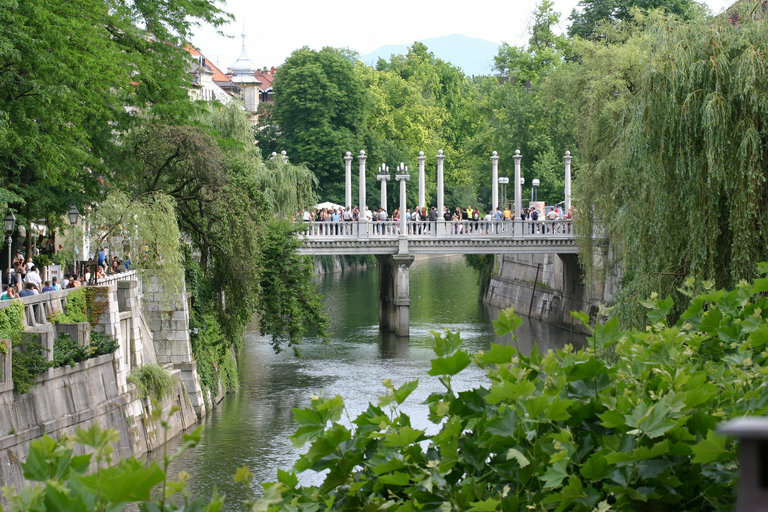 This year our capital, Ljubljana, was given the prestigious title of European Green Capital 2016. The title was received on the basis of the changes that have happened in the last decade or so, mainly by closing Ljubljana’s core for traffic and turning it into a pedestrian-friendly area. The green areas of Ljubljana have been expanded and some great solutions were introduced for treating waste in the city. 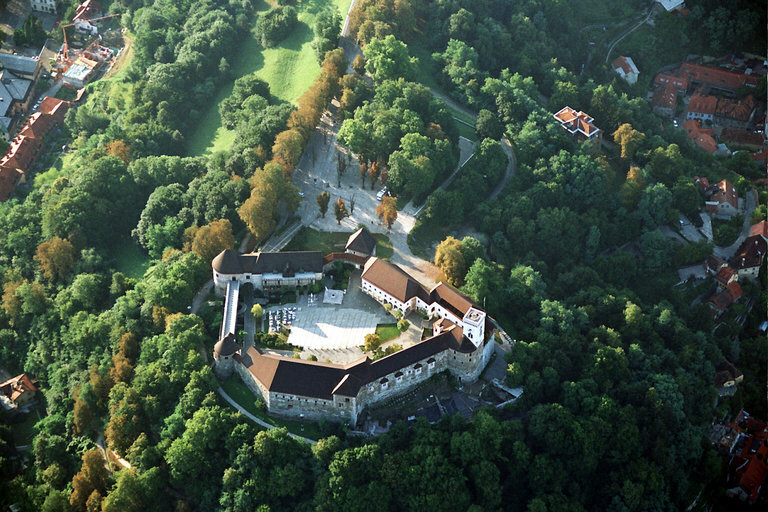 There is going to be plenty of events and opportunities for visitors in Ljubljana to experience the capital in a different, more environmentally-friendly ways, such as promoting the green areas of the city (they cover about 46% of Ljubljana) as a point of interest for both tourists and locals alike. You can read more about Ljubljana and its 2016 title here. Keeping with the theme of making sure that the city center is as emission-free as possible, a new way of getting around town will soon be available. Coming this April, the city is going to get a new addition to the tourist offer in the pedestrianized center - a zero-emission tourist train named Urban. A little under 50 people will be able to enjoy the city sights from this solar-powered novelty every full hour. The Urban train is going to be nice complement to the already existing Kavalir (which means gentleman in Slovenian), which are electric buggies with extremely friendly drivers that take you anywhere in the pedestrian area for free. A wonderful help to the elderly running their errands around the old town and a fun experience for children, and the perfect solution for people staying in the pedestrian zone to get their luggage to the hotel. You can just hail them or order them through these telephone numbers +38631666331 or +38631666332. 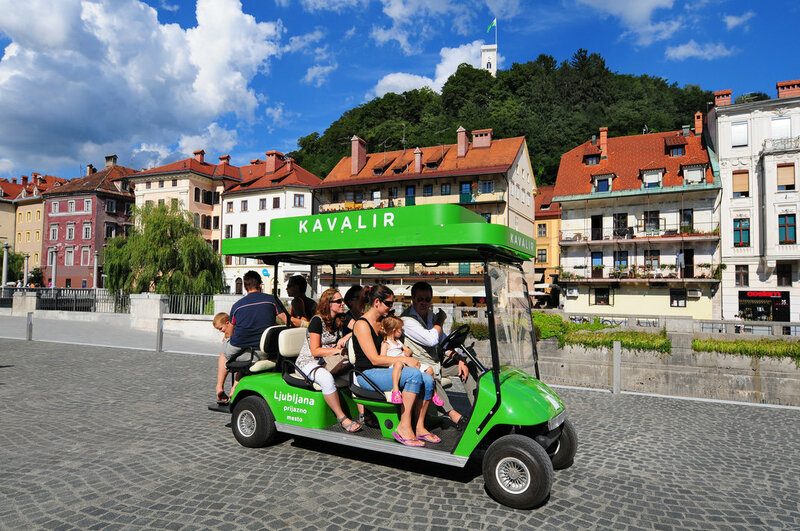 Hop on any of these two transports and rest your weary traveler feet while enjoying Ljubljana from another perspective. Kavalir. Author: D. Wedam. Source: Turizem Ljubljana. But it is not only Ljubljana that is achieving some great results in environmental change. This year, Yale released new data for the 2016 Environmental Performance Index, which ranks countries by their environmental performance. Slovenia has soared from its 15th place in 2014 to the 5th in 2016, where it currently stands due to having shown significant changes in this department in the last two years. years. Oh, this place [Slovenia] is so clean! Littering might not be as bad as in a lot of other countries, but when it does happen we generally have a pretty efficient public service, which looks after the collection & removal of waste and litter. Sometimes you can spot them around Ljubljana, where they are clearing litter by hand, sweeping the streets etc. Give them a friendly smile to let them know you appreciate their contribution to keeping the city so tidy. A big issue in more remote areas are illegal dumps. Through multiple initiatives, registration of the illegal dumps in Slovenia and the successful Očistimo Slovenijo (Let’s clean Slovenia) project, NGO Ekologi brez meja (Ecologists without borders) has tackled this issue and brought it up for discussion. The Očistimo Slovenijo 2012 project grabbed a lot of media attention as it was a huge achievement, attracting 289,000 volunteers and making a huge step towards resolving this issue. Projects such as this one have a huge impact on a national as well as local level, since they bring communities together for a common cause. Chatting with your neighbour while cleaning up litter in the vicinity of your home is actually not a bad way to spend a Saturday morning. The project was given as a good example in a speech about litter prevention made by the then EU Commissioner for the Environment, Janez Potočnik. At the moment, the NGO is focusing on legislation regarding this issue and how they can influence legislators in order to achieve positive results. A huge contribution to keeping Slovenia clean is the education of children. 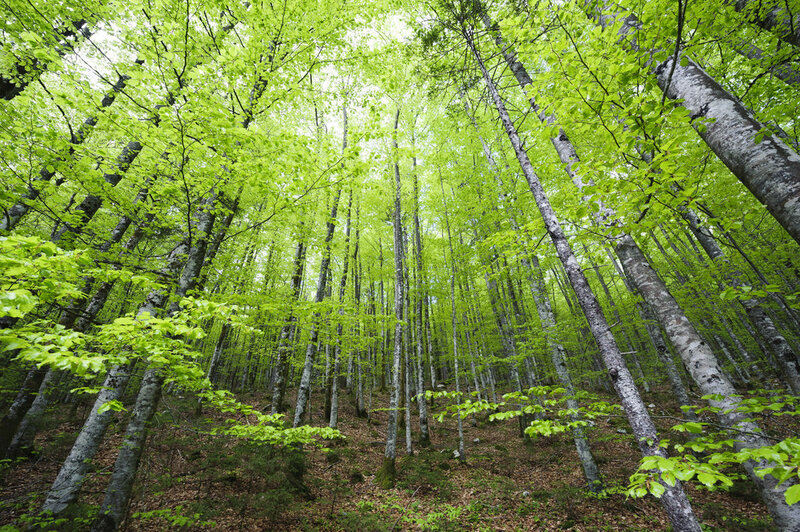 There is a programme called Ekošola (Eco school), which is dedicated to education in environmental responsibility, currently for over 700 educational facilities and well over 130,000 Slovenian children. But it is not only children we need to educate. Some tourist destinations are making sure that people are aware of their environment and the impact they have on it - a great example is this video from Postojna cave. There are a few destinations that have been awarded for their efforts, such as EDEN (European Destinations of Excellence). 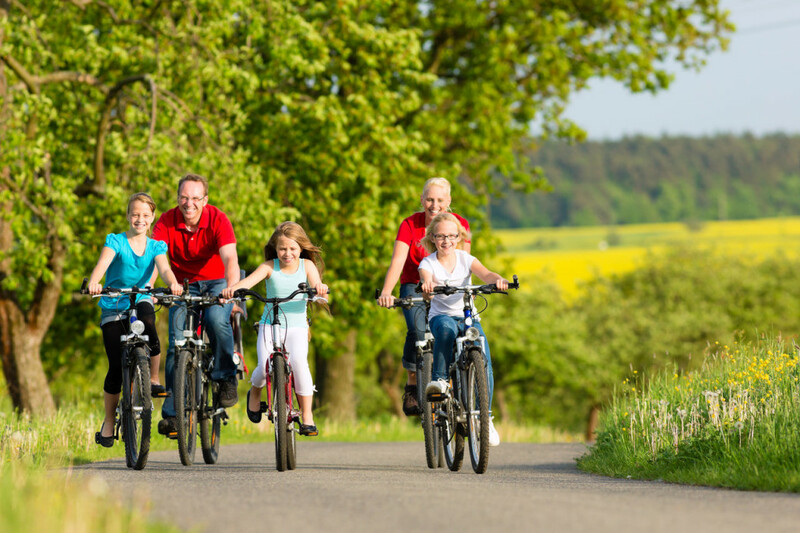 EDEN is an initiative to promote sustainable tourism development all over the EU. The Slovenian destinations that have been awarded are Goriška Brda (most recently, 2015), Laško (2013), Idrija (2011), Kolpa river (2010), Solčavsko (2009) and the Soča Valley (2008). Our coastline has been awarded the Blue Flag certification, which is given to beaches, marinas or boating tourism operators for high environmental & quality standards - we have 9 certified beaches and 3 marinas. There are plenty of ecologically or biodynamically directed farms and homestays where visitors can experience rural Slovenia and see people’s efforts to live in an environmentally friendly way. It’s no coincidence that the ‘I Feel Slovenia’ logo is green. Impressive mountains, rolling hills, vast forests, lovely towns and beautiful landscapes are a sight to see and Slovenia’s inhabitants are set on keeping them clean for many generations to come. Tagged ecology, Ljubljana, nature. Bookmark the permalink.